In the early 1950s, a local physical education instructor determined that Beaverton-area residents needed more opportunities for recreational activities. Never one to shy away from a challenge, Elsie Stuhr began an initiative campaign to establish the Tualatin Hills Park & Recreation District. What prompted Elsie's sense of urgency to create a new Park District? "In 1953, the City of Beaverton had a population of fewer than 3,000. The surrounding area was experiencing rapid growth. People who worked in Portland were seeking more space, a more peaceful environment, and lower taxes. They were creating suburban areas. 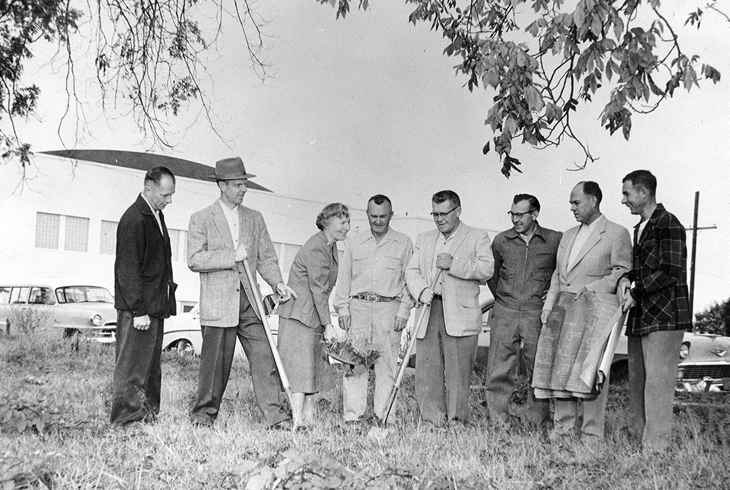 Larger industries like Tektronix and Sawyers were making Washington County their home. This also brought more people. "Parents soon realized that while there was a more informal atmosphere in the suburbs, there was also a lack of recreational facilities for families, and no one seemed to be planning for future open space. You had to go to Forest Grove or Portland for swimming. 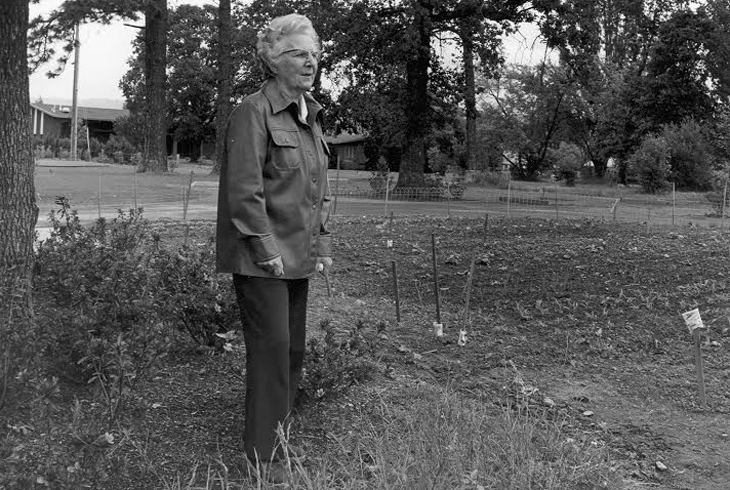 There were two small parks in Beaverton and one tennis court in Garden Home..."
Elsie Stuhr's campaign to establish a park district in the Beaverton area garnered strong public support, and on the eve of the vote, optimism among backers of the initiative was high. "The enthusiasm was so high at the end of the campaign that the evening before the election, the (City) Council had a banquet to celebrate," Elsie wrote. "They wanted people to know that win or lose, they were proud of the effort." Elsie Stuhr was presented with a beautiful Swedish tray inscribed, "In appreciation of your splendid leadership in the formation of the Tualatin Hills Park & Recreation District." The next day, on March 4, 1955, voters approved the initiative. Elsie was a woman of great vision, but even she probably couldn't have foreseen then what her fledgling park district would become. Today, THPRD is the largest special park district in Oregon, spanning about 50 square miles and serving about 250,000 residents in the greater Beaverton area. The district provides year-round recreational opportunities for people of all ages and abilities. Offerings include thousands of widely diverse classes, 95 park sites with active recreational amenities, 70 miles of trails, eight swim centers, six recreation centers, and 1,500 acres of natural areas. "Visitors to the THPRD often remark on the excellence of the facilities and the evidence of superior maintenance," Elsie wrote in 1996. "They are impressed by the friendliness of the employees and the high quality of instruction in the various activities..."
It's still true. In fact, thanks to the support of district patrons, THPRD is one of the nation's outstanding park and recreation districts. And district employees are dedicated to maintaining that high standard. It's their way of honoring the legacy of Elsie Stuhr. Origins of the name "Tualatin Hills"
The area that is now Beaverton was originally home to a Native American tribe known as the Atfalati, which settlers mispronounced as "Tualaty." That name subsequently morphed into "Tualatin." The Tualatin name eventually was applied to many points of local geography. What is now Tigard became known as the Tualatin area. Settlements of Forest Grove and Hillsboro were known as West Tualatin and East Tualatin, respectively. Meanwhile, the Tualatin Mountains surrounding the Beaverton area – what we now call the Portland West Hills – became known in some quarters as the Tualatin Hills. In 1953, Elsie Stuhr organized a citizens council to promote the formation of a park and recreation district within Beaverton Union High School boundaries. Joe Farmer, a representative of the McKay School District, suggested the group be called the Tualatin Hills Recreation Council. Two years later, the council launched an initiative to establish taxpayer funding for its brainchild, the Tualatin Hills Park & Recreation District, as described above. The district has changed dramatically since then, but the unique name has stayed the same.